Worldwide, with greatest diversity in the Australasian region. 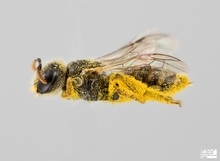 Many species in the Hylaeinae provision the nest with liquid or semi-liquid pollen that has been carried in the crop rather than being collected into an external pollen carrying apparatus (scopa) that these bees lack. Most species of Colletinae collect pollen into an external pollen carrying apparatus (scopa). Cockerell TDA. 1942. Bees of the family Hylaeidae from the Ethiopian Region. Smithsonian Miscellaneous Collections 101: 1–15. Dathe HH. 2014. Studies on the systematics and taxonomy of the genus Hylaeus F. (8). 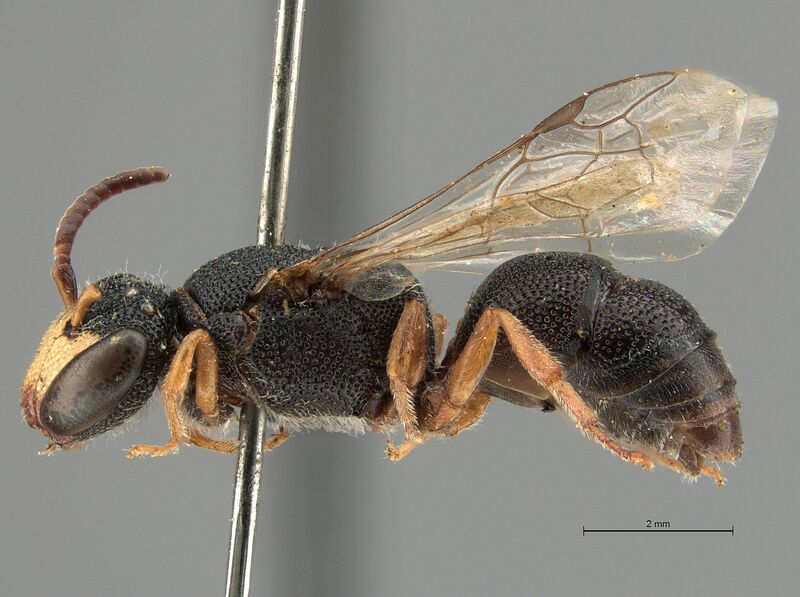 Revision of the Afrotropic subgenus Hylaeus (Deranchylaeus) Bridwell (Hymenoptera: Anthophila, Colletidae). Zootaxa 3874 (1): 1–84. Supplement to the taxonomy and distribution of Afrotropical Hylaeus F. species (Hymenoptera: Anthophila, Colletidae). Contributions to Entomology 65 (1): 9 – 26. Davies, G.B.P. & Brothers D.J. 2006. Morphology of Scrapter (Hymenoptera: Anthophila: Colletidae), with description of three new species and taxonomic status of five Cockerell taxa. African Invertebrates 47: 135-183. (Hymenoptera: Apoidea: Colletidae), with descriptions of S. albifumus and S. amplispinatus females and a major range extension of the genus. African Invertebrates 46: 141-179. Eardley, C.D. 1996. The genus Scrapter Lepeletier and Serville (Hymenoptera: Colletidae). Museum of Los Angeles County 361: 1-33.